Pre-term premature rupture of the fetal membrane or PPROM is a major cause of preterm birth and accounts for 40% of early infant death with NHS costs £3 billion annually. Factors such as uterine stretch, contractions, blood or infection lead to spontaneous PPROM. Membrane rupture also occurs frequently after clinical procedures such as amniocentesis where sampling of the amniotic fluid is used for prenatal diagnosis. Increasingly, fetal surgery is being performed to treat congenital fetal disease, and in up to 30% of fetoscopy cases, the amniotic membrane (AM) separates from the uterine wall leading to PPROM. The AM has poor healing capacity making attempts to seal the defect with glues or decellularised collagen plugs clinically ineffective. There are no clinical solutions to improve healing of the membranes after surgery or after it ruptures spontaneously. We are developing a new intervention that will help to delay delivery and avoid premature birth. We are using both human and animal models for testing therapies for healing the fetal membranes following fetoscopic surgery with analysis involving mechanical, biochemical and molecular biology techniques. 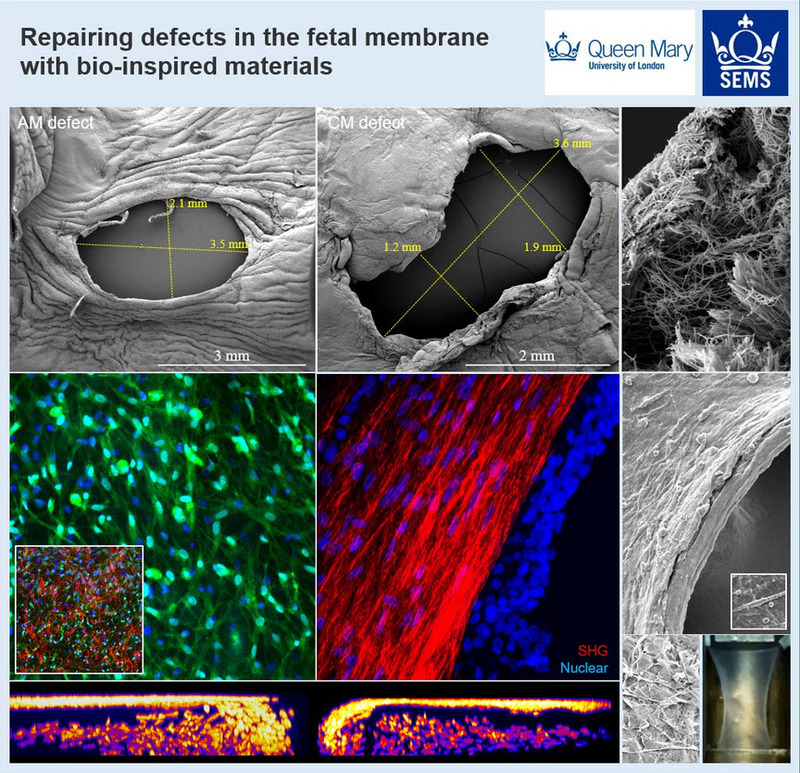 (https://www.britishscienceassociation.org/news/bioengineering-to-repair-fetal-membranes-and-reduce-preterm-births) and Little heartbeats (http://www.little-heartbeats.org.uk/pprom-research). Our research has found a reason for this poor healing (Barrett DW et al., Prenat Diagn 2016;36(10):942-52). Repeated stretching of the amniotic membrane, similar to the mechanical forces that occur in preterm labour, increases the levels of a protein called connexin 43 (Cx43) and prostaglandins, representing important inflammatory factors causing PPROM. We have shown that Cx43 delays healing in the amniotic membrane (Barret DW et al., Prenat Diagn 2017;37(9):899-906). 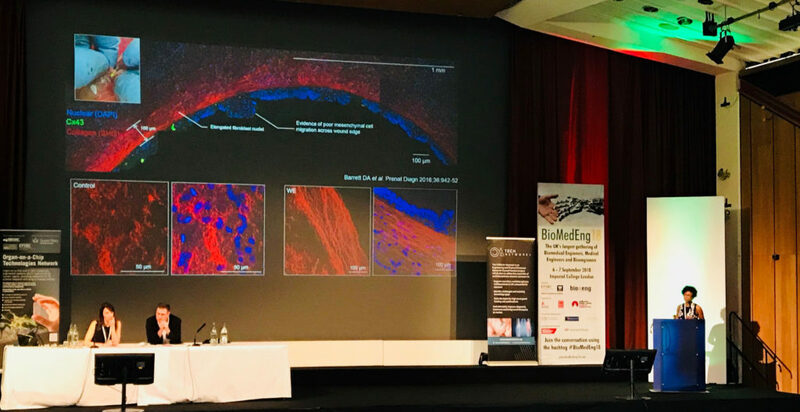 To encourage repair, we are developing biomaterials that can rebuild the 3D environment with collagen and elastin. We plan to integrate these biomaterials with antisense therapeutics that reduce Cx43, enabling tissue repair. 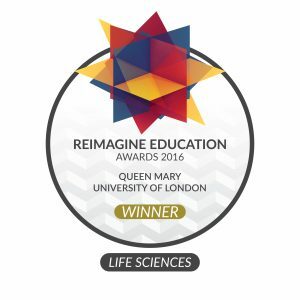 The multi-disciplinary research team involves clinicians (Prof Anna David, UCLH, Prof Jan Deprest, Leuven and UCL), material scientists (Prof Alvaro Mata, QMUL) and biologists (Prof David Becker, Singapore, Dr David Barrett, QMUL). The research funded by The Rosetreest Trust and Prenatal Charity will support Eleni Costa during her doctoral research PhD studentship (2019-2022).